Danley Sound Labs is introducing the new SH-64 loudspeaker at InfoComm in Orlando, Florida, June 17-19. Designed as a standalone system for the broad range of applications requiring high-SPL and low distortion, the SH-64 is a powerhouse three-way solution that incorporates nine drivers in a single horn enclosure. Comprising four 15-inch woofers, four 4-inch mid-frequency drivers and a single 1.4-inch high-frequency driver in a patent-pending enclosure, the Danley Sound SH-64 offers great fidelity, low-frequency pattern control and unrivaled magnitude/phase response. 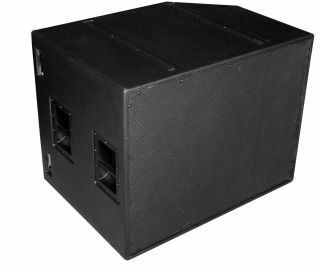 Capable of generating 138 dB SPL (program) with an input power rating of 2800 W, it offers a coverage pattern of 60 degrees horizontal by 40 degrees vertical across a frequency range of 50 Hz to 16 kHz. Sensitivity is 103 dB SPL.